Why Alphay Products – Alphay International Inc.
Balance. It’s what we all strive for in order to live happy, healthy lives. But with our modern, on-the-go lifestyles, balance can be difficult to attain. Fortunately, there’s Alphay. At Alphay, we embrace the concept that if we understand the way the body interacts with itself, we can supplement it appropriately—internally and externally—with nutrients and wisdom that help us maintain optimal living. Everything we create is made to reflect that perfect, natural harmony. Radiate energy. Live with vitality. Look and feel your best. Perhaps the greatest gift from the ancient Chinese culture to the world is this 5,000-year-old principle of life, called the 5 Elements. It has worked for thousands of years to guide people through moments in a day and journeys in life. 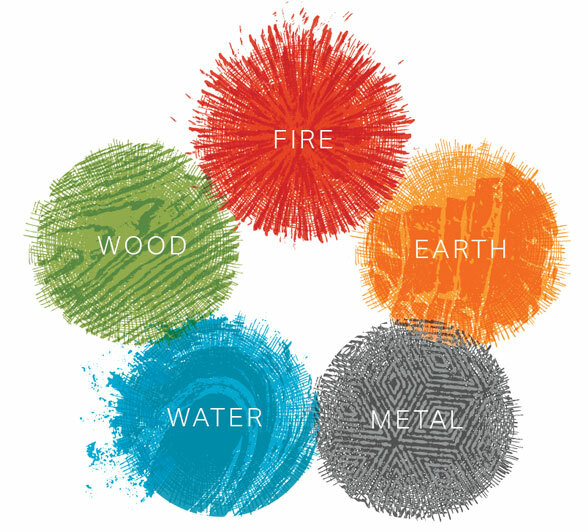 The ancient healing tradition of the 5 Elements teaches us that each energetic sphere, or “element,” also correlates to aspects of the human body. In terms of health, nutrition and body balancing, each element and its corresponding organs can be supported by understanding the proper use of specific herbs, foods and medicines that work best with them. Much like the yin and the yang states that all things in life are interconnected, so too are our bodies; if we wish to see targeted change, we must attend to the whole body. Well-being, vitality, stability, good health and longevity can only materialize when all things—such as our vital organs and immune system—are in balance with one another. Centuries of traditional Chinese medicine speaks for itself—Alphay’s products are unmatched to any other in that the principle behind each product formulation is profound. This influential principle is called Jun-Chen-Zuo-Shi, and the theory goes like this: Each herb has their own primary responsibility and role; the Jun (emperor) herb focuses on addressing the challenge; the Chen (minister) herbs serve to strengthen the effects of the Jun; the Zuo (assistant) herbs are used to balance the effects of the Jun and Chen, and to ease off any effects of these herbs. The Shi (courier) herbs work to help deliver or guide the herbs to the target organs. Alphay’s product lines combine the timeless value of ancient Chinese herbs, highly refined pharmaceutical-grade formulations and innovative scientific technologies to create solutions to the challenges that many of us face every day. Each formula is prepared based on traditional Chinese Medicine principles, as well as Western wellness considerations. We invite you to explore our full product lineup to experience the incredible benefits of Lingzhi firsthand.